There is one dessert that to me defines summer and that is S’mores. Once summer comes along I often start thinking about toasting marshmallows and putting them together with crisp graham crackers and delicious, gooey chocolate. There’s nothing quite like S’mores over the campfire. Since I don’t have a fire pit in my backyard I have to get my s’mores another way. 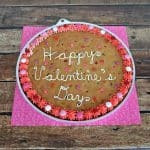 In the past I’ve made them into cookies, cakes, and even iced coffee! Last weekend I was totally in the mood for cupcakes so I decided to wing it and make homemade S’mores Cupcakes. 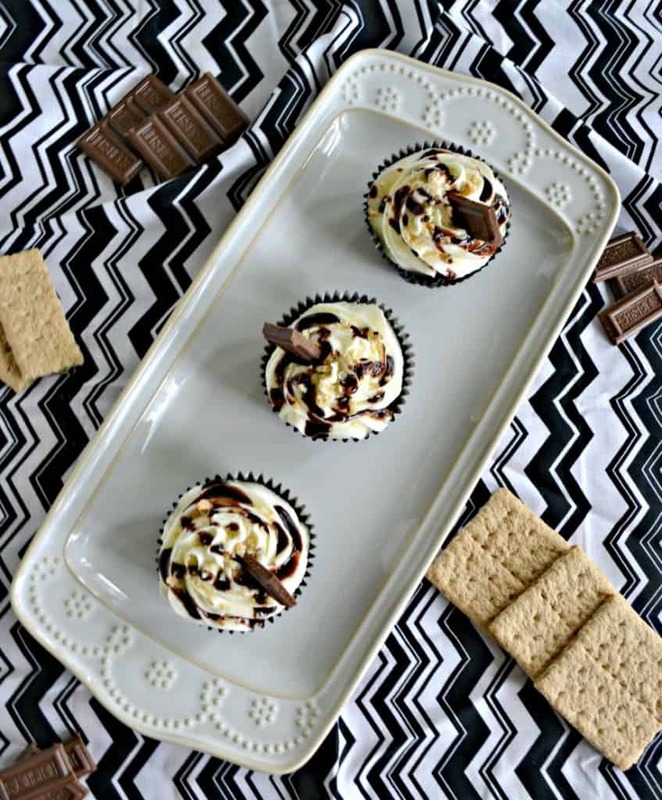 These cupcakes start with a rich, chocolate cake on top of a graham cracker crust. The cupcake is filled with marshmallow filling and topped off with buttercream frosting. 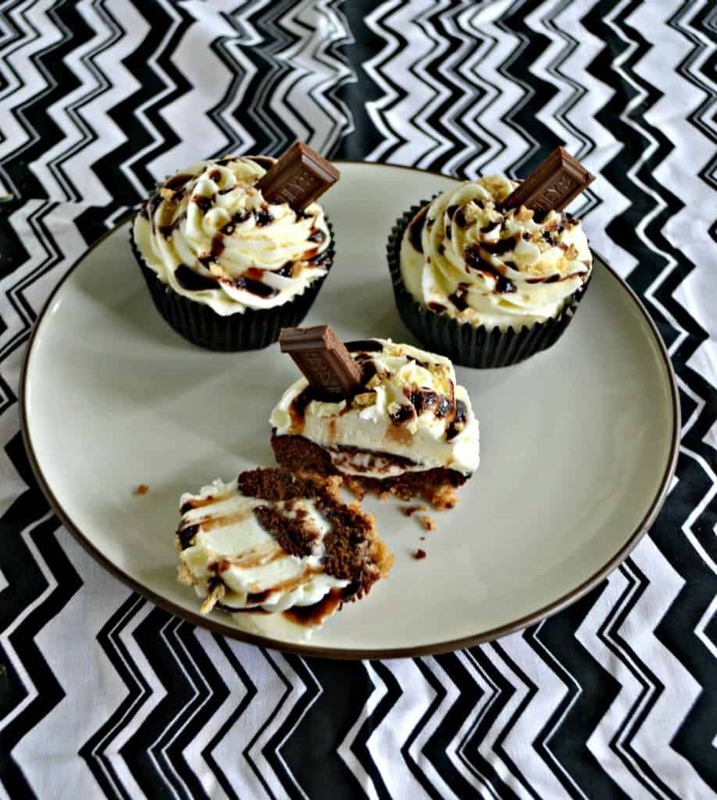 Then the cupcakes are drizzled with chocolate sauce, sprinkled with graham cracker crumbs, and finished off with a chocolate bar. They looked so pretty I almost didn’t want to eat one! If you know anything about me you know that while I love chocolate I do not love chocolate cake. I would choose vanilla cake or yellow cake any day of the week over chocolate. I’m just not a fan. I love brownies but there’s something about chocolate cake that is just meh. So when I went to try this cupcake I cut off a very tiny piece just to make sure all the flavors melded together. I bit into it and couldn’t believe the flavor. The combination of the marshmallow filling with the vanilla frosting and chocolate cake was amazing! I quickly cut myself another piece and before I knew what was happening I ate the entire cupcake. It was that good! I took the cupcakes into work the next day and they were gone quickly. The combination of flavors and textures is just perfect. 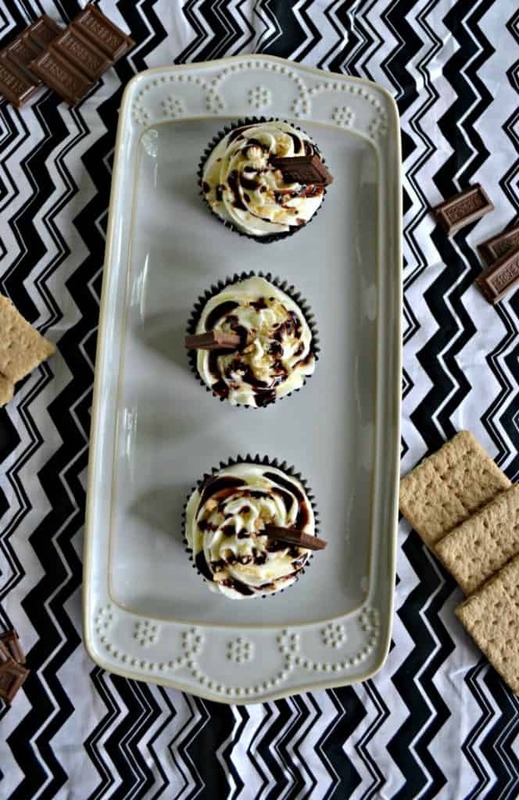 It totally tastes like S’mores in cupcake form. So if you aren’t near a campfire but are craving a S’mores, make these amazing cupcakes instead. Delicious chocolate cake filled with marshmallow then topped off with vanilla frosting drizzled with chocolate sauce and sprinkled with graham cracker crumbs. In a medium bowl combine the flour, cocoa powder, baking powder, and salt. Mix well and set aside. In a large bowl cream the butter and sugar. Add in the eggs and mix well. Stir in the vanilla, cinnamon, and brewed coffee. Add half the flour mixture to the butter mixture and mix well. Stir in the milk. Add the remaining flour and mix well. Set aside. In a medium bowl combine the graham cracker crumbs, sugar, and melted butter. Mix well. 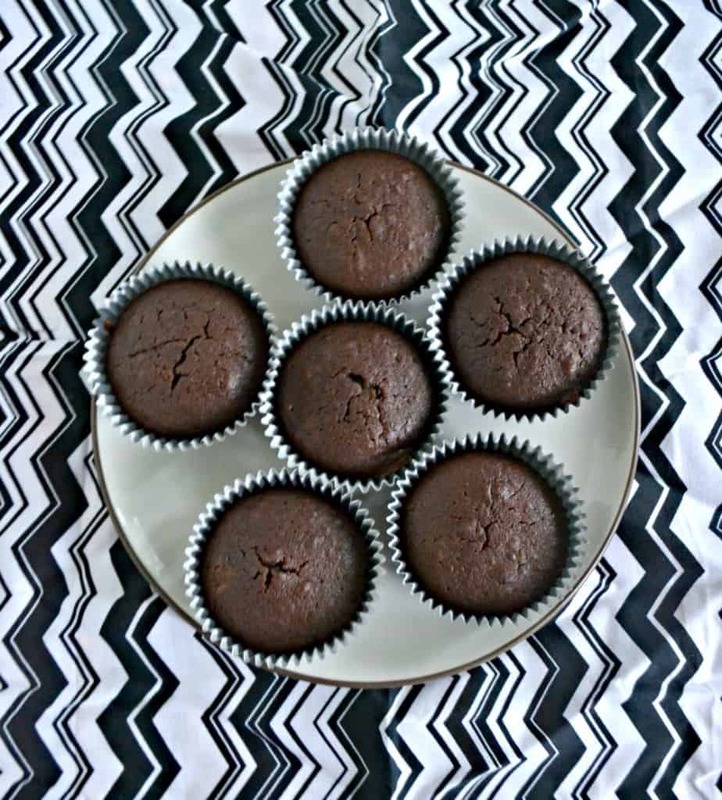 Place cupcake liners in 2 muffin tins. 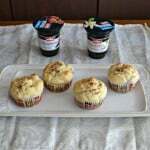 Place 1 tablespoon of the graham cracker crust in each cupcake liner and press down. Pour the batter on top of the graham cracker crust filling each cup ⅔ of the way full. Bake for 23-25 minutes. Remove from oven and cool on a wire rack. 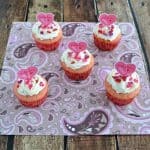 Cut a piece out of each cupcake from the top and set it beside the cupcake. To make the filling place the marshmallows and butter in a microwave safe bowl and microwave for 20 seconds then stir. If needed microwave an additional 10-15 seconds. Stir in the powdered sugar until smooth. Add a teaspoon of the marshmallow filling to the whole in each cupcake then replace the top. To make the frosting beat the butter in a large bowl with a mixer. Add half the powdered sugar and beat on medium speed. Add remaining powdered sugar and mix well. Stir in the milk and mix until desired consistency is reached. Stir in the vanilla. 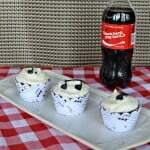 Pour the frosting into a piping bag and pipe onto the cupcakes. 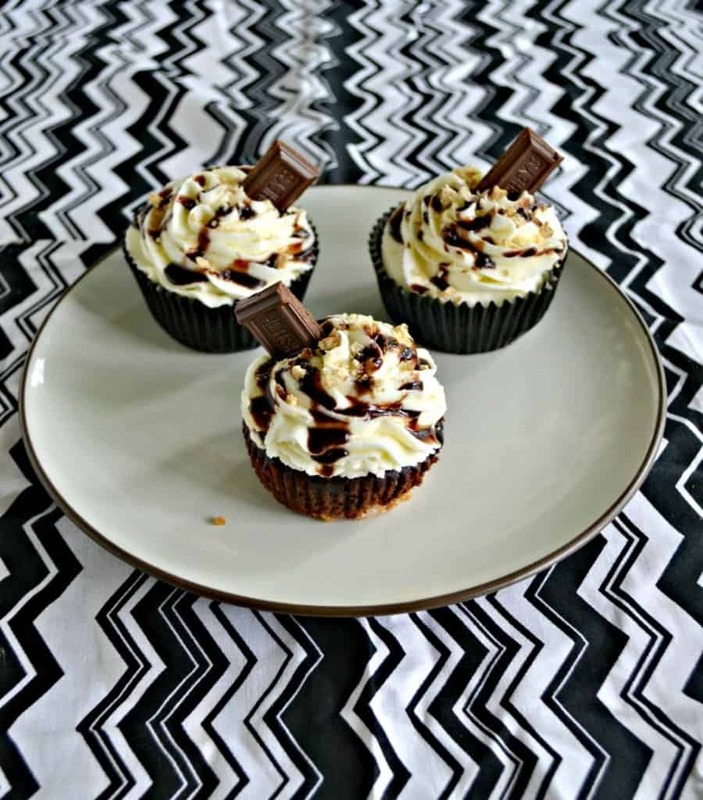 Drizzle each cupcake with chocolate sauce, sprinkle with graham cracker crumbs, and place a piece of chocolate bar in each one.